Not sure how to make it happen? Our team knows the ins and outs of designing, launching and managing an online training portal and will help you make it happen. That’s why we created The Vortal. You ask, what’s a Vortal? “A vertical industry web portal educating users about a particular industry.” In this case the connected technologies industry. With a simple link from your website to the Bedrock Vortal, interested learners land on your branded training web page and automatically have access to your online training and testing. 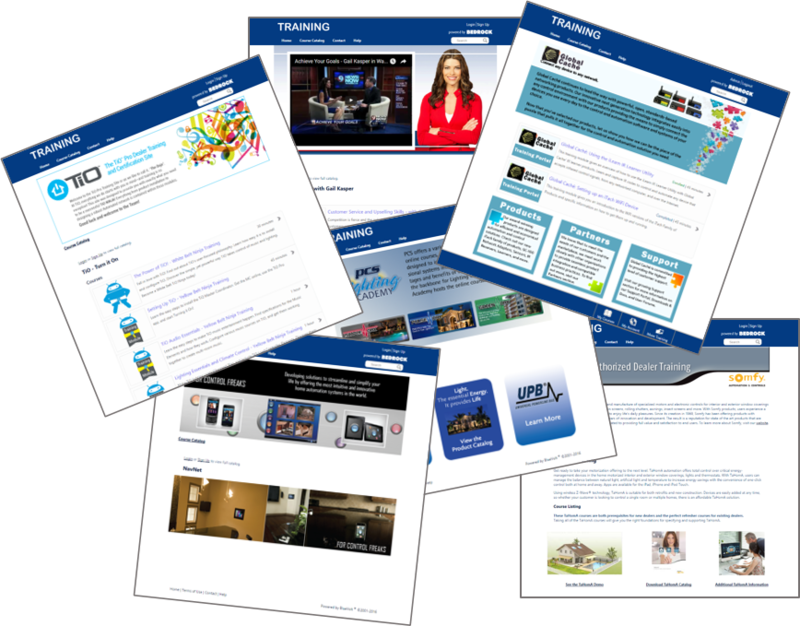 Customized web portal and online training launched in 60-90 days! extra hours overseeing your website. The Bedrock Vortal is more than a website, our goal is to make it easy for companies to train on their offerings without having to spend hours learning and overseeing an online training website. Bedrock does that for you, freeing your time to focus on sales. Online training benefits everyone. Employees and new hires learn valuable company/product information, customers are knowledgeable and serviced better as a result of online training, and what everyone loves, you will sell more as a result of online training.